Our guide to Memphis will help you find the best budget hotels in Memphis Tennessee. On the bluffs overlooking the Mississippi River, Memphis is Tennessee's largest city and the commercial and cultural center of the western part of the Volunteer state and several of its neighbors. The city is a blend of Southern tradition and modern efficiency, where aging cotton warehouses stand in the shadow of sleek new office buildings, and old-fashioned paddle wheelers steam upriver past the city's most striking landmark, the gleaming, stainless-steel Pyramid Arena. There are tons of great budget hotels in the city of Memphis, our city guide will help you find the best budget hotels. You may have a hard time deciding what to do in Memphis, but we make your decision easy. 100 N, (901) 526-0583 - Comfort Inn Downtown is a budget hotel / motel / resort located in Memphis TN. 1070 Rdg Lake Blvd, (901) 682-1722 - Staybridge Suites is a budget hotel / motel / resort located in Memphis TN. 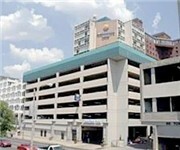 110 Monroe Ave, (901) 578-3700 - Residence Inn Memphis Downtown is a budget hotel / motel / resort located in Memphis TN. 1335 McRee St, (901) 526-0583 - Comfort Inn Memphis is a budget hotel / motel / resort located in Memphis TN. 1780 Nonconnah Blvd, (901) 396-3600 - The Courtyard Memphis Airport surrounds travelers with the conveniences that make business and pleasure travel easy. 21 N Main St, (901) 522-2100 - SpringHill Suites Memphis Downtown is a budget hotel / motel / resort located in Memphis TN. 2270 N Germantown Pkwy, (901) 386-1110 - Wingate By Wyndham is a budget hotel / motel / resort located in Memphis TN. 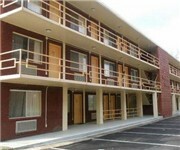 2344 Ketchum Rd, (901) 743-1670 - Economy Inn is a budget hotel / motel / resort located in Memphis TN. 2751 New Brunswick Rd, (901) 369-8005 - Holiday Inn Hotel & Suites Memphis is a budget hotel / motel / resort located in Memphis TN. 2800 New Brunswick Rd, (901) 380-9700 - SpringHill Suites Memphis East/Galleria is a budget hotel / motel / resort located in Memphis TN. 3005 Millbranch Rd, (901) 396-5411 - Comfort Inn & Suites Memphis Airport is a budget hotel / motel / resort located in Memphis TN. 3076 Kirby Pkwy, (901) 365-6400 - The Courtyard Lenox Corporate Park is unlike any other Courtyard you have ever stayed in. This Award Winning Courtyard goes above and beyond. 3105 Millbranch Rd, (901) 312-7000 - Best Western Executive Inn is a budget hotel / motel / resort located in Memphis TN. There are plenty more budget hotels in Memphis. See all budget hotels in Memphis Tennessee.